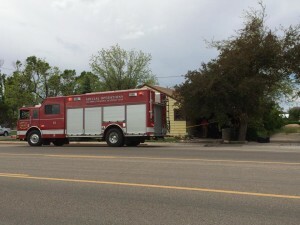 CEDAR CITY — Cedar City Police officers and other emergency personnel responded to a residence on 900 West in Cedar City Friday afternoon where a man allegedly assaulted officers, barricaded himself inside a home and then set the house on fire. At about 2:15 p.m., officers responded to a report of a disorderly person at a residence. 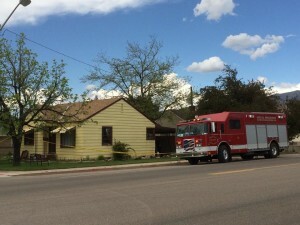 When they arrived, they spoke with the owners of the home, who told them a man identified as Aaron Tippetts had locked them out of the house and was “acting disorderly,” according to a press release from the Cedar City Police Department. When officers approached the home to speak with Tippetts, he allegedly threw a liquid substance, believed to be paint thinner, in the faces of two of the officers. Tippetts then barricaded himself inside a bedroom in the house. Officers tried to negotiate a peaceful surrender, the statement said, but Tippetts remained barricaded for about 20 minutes. “As officers were attempting to communicate with Tippetts, smoke and flames were seen coming from underneath the door of the room in which he had barricaded himself,” the press release said. Tippetts then opened a window. Officers gave him commands, but he refused to cooperate. The fire was extinguished quickly by responders from the Cedar City Fire Department, Cedar City Police Sgt. Jimmy Roden said. 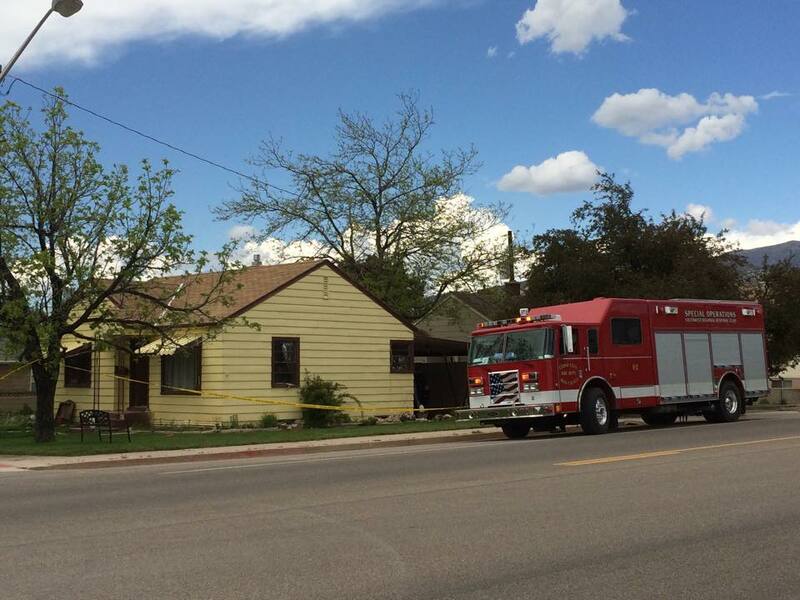 It is believed the home sustained no structural damage as a result of the fire. As this report is published, the investigation into the incident is ongoing. “It is still unknown what triggered Tippetts to behave this way,” the statement said. The two injured police officers were transported to the hospital, where they were treated and then released. Tippetts was also taken to the hospital and will be evaluated, according to the press release. Tippetts will face multiple criminal charges in connection with the incident, including aggravated arson and aggravated assault. St. George News Editor Emily Hammer contributed to this report. At least there ain’t nothing wrong with his radio. Who’d a thunk Aaron Tippets was staying here in sunny Dixie. Chukabarra, he was in Cedar City. Can you find Cedar City on a map. Sounds like he had a psychotic episode. Yes it was sort of a psychotic episode. I thought the police were there to kill me because I was shot by a police officer in the past. I didnt I could experience PTSD. Im doing alot better now. Sure is hard to get a job and housing now though. Thankyou Saint George News for reporting this objectively.